Has lost Civil War gold bound for Philly been found? When Sgt. Jim Connors tipped back a few too many, hed talk about the legend of lost Civil War gold, and boast about its whereabouts deep in the hills of Western Pennsylvania. Connors, according to a 1978 United Press International article in the Pittsburgh Press, was part of a special Union detachment tasked with transporting 26 gold bars, each weighing 50 pounds, from West Virginia to the U.S. Mint in Philadelphia in the summer of 1863. According to one version of the story, Connors staggered into Lock Haven, in north-central Pennsylvania, as the lone survivor of an ambush. The gold was gone, waiting to become a plot line worthy of an Indiana Jones flick, but the tall tale may have inched closer to reality Tuesday when the FBI, Pennsylvania Department of Conservation and Natural Resources (DNCR), and some frustrated treasure hunters converged in an Elk County forest and started to dig. According to WJAC-TV in Johnstown, the crews were set up off Route 555 in the Dents Run section of Benezette Township. Thats nine miles from Driftwood, where Connors said the shipment was attacked. Based on todays value of an ounce of gold, the lost load would be worth $27,381,120. I don’t know but maybe some of Ft. Knox’s gold was found somewhere else! It's buried in the grave next to Arch Stanton Tuco. Now get digging. There is some “lost” Civil War gold somewhat near where I live, in 5 or 6 different places, depending on the story. I’ve looked around a couple of them. It’ll stay lost from what I have seen. Nice place to watch the elk in the fall. Could be The Fastest Guitar Alive Part 2. But who would play Roy’s part? Perhaps Roy’s Boys. I didn't know there were elk in Pennsylvania (I guess it shouldn't be surprising). Thanks for pointing that out -- looks like a cool place to view the elk. Unfortunately, I don't get back to PA much after Mom & Dad passed. 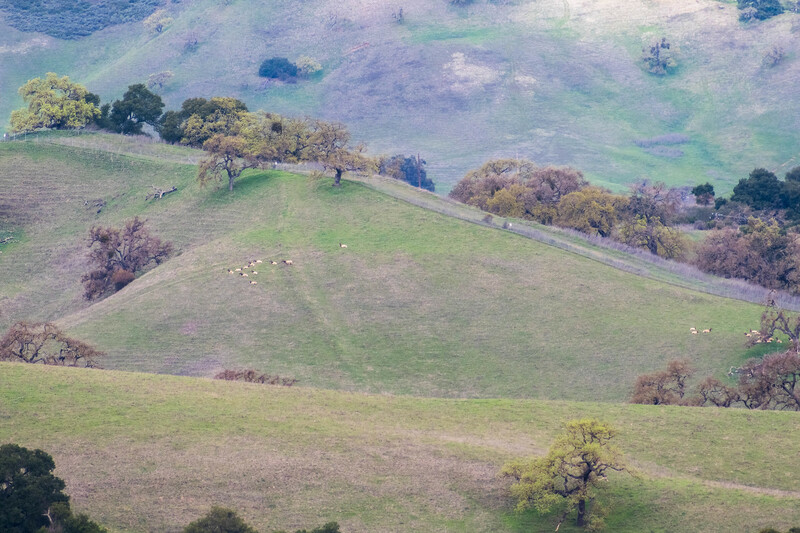 I was on a hike on Monday this week in the California Coastal Range between San Jose and Morgan Hill and one of our group spotted this Tule Elk herd near Coyote Ridge. 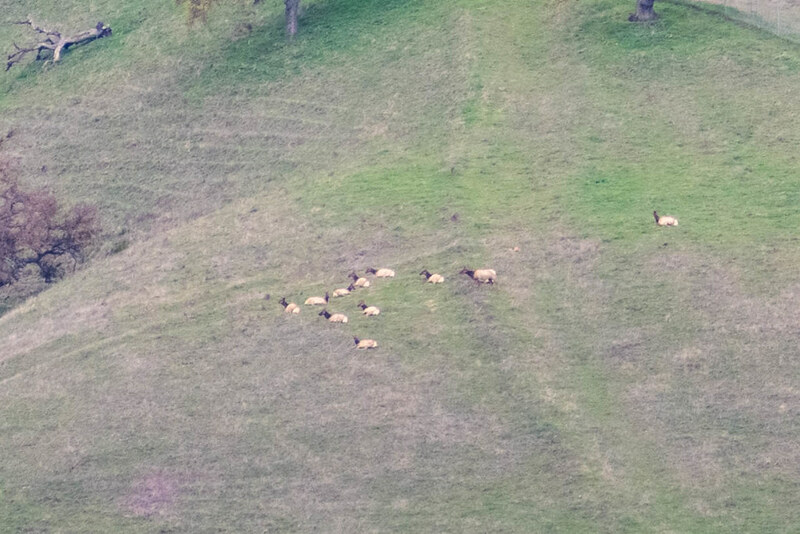 I had no idea we had elk herds only 13 miles from downtown San Jose! The big Tule Elk herds are up at Point Reyes. Photos by Anda C.
How did you know her ? Ya, wasnt it nice what the FBI did to her? C-suckers. Then add Todd Hoffman and the Lagina Brothers for that extra effort to not find anything —— ever!